Quan Yin (Q) warehouse is 98% in stock. The Q warehouse ships UPS to street addresses only from California. You will be given the Express option on checkout. The Q warehouse ships USPS Global Express internationally. 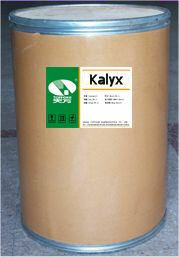 Kalyx.com’s warehouse is a manufacturer and distributor of a full-line of botanical extracts and specialty dietary supplement raw materials. With over 500 items in stock, we are capable of delivering many different varieties and potencies of herbal extract. All our herbal extracts are produced by vertically integrating the process of growing the herb to final production of the herb into various potencies of herbal extracts. Most of the herbal extracts we offer are kosher certified and are produced in a GMP compliant facility. All finished extract powders are painstakingly analyzed before a signed Certificate of Analysis is issued for each and every batch. To ensure the quality of the products we distribute, all herbal extracts are also randomly tested to guarantee potency. All products are packed in 25 kg drums or double-bagged plastic lined cartons.